I'll keep this post short & sweet (because I was there for a short time & didn't shop much). I went to Beauty Expo at PWTC today after my Royal Selangor Jelly Workshop for Breast Cancer Awareness (I also joined the School of Hard Knocks! got a certificate to prove it!). 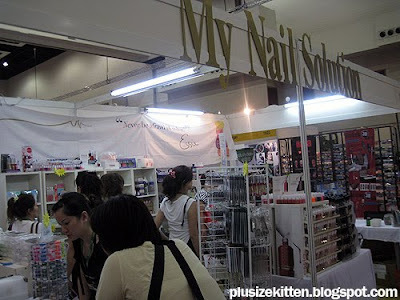 Well I didn't know much about the brands and stalls at the Beauty Expo due to time limitation. I only knew 4 things I should do or see. I heard from beauty bloggers that Essie Nail Polish is the BOMB. It's popular in the US unlike OPI which is over hyped here. FYI I have tried Essie and it's great! I also don't know why we Malaysians like OPI so much. Girls u should try Essie for a change. 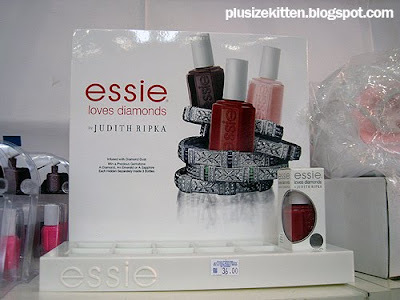 I bought the Essie loves diamond by Judith Ripka. 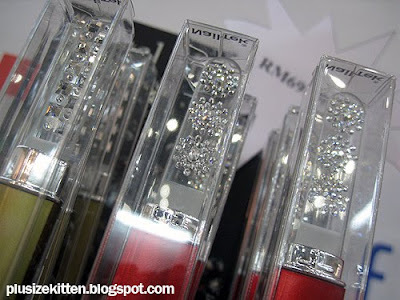 This nail polish is infused with genuine diamond dust! It was out of stock! so I got the limited edition crystal filler that comes with a casing and with Swarovski crystals instead which is really pppuurrrrrtttttyyyyy. Original price rm120, now rm70! crystal nail filers recomended by Joey of BeautyGossipologyst to me, it's does a much better & smoother job than normal nail filers. 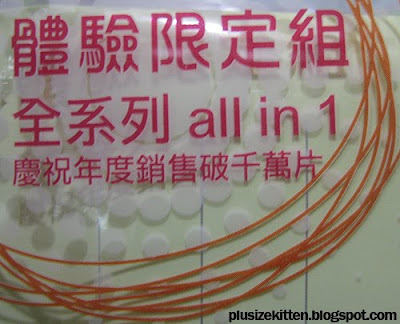 I heard that this expo is selling my beauty diary mask! and cheap too! rm49-90 (compare to Guardian selling from rm60++ onwards, more or less). The biggest bite is the BUY 10 FREE 3 promotion! meaning buy any 10 boxes get any 3 boxes of your choice for FREE! Everyone's like sharing and the booth is always pack! I've calculated 13 boxes shared would cost rm35 each box only! for every purchase of rm100 & above, customers get to buy the eye mask+collagen serum set at rm15 (normal price eye mask is rm28, collagen serum idk). 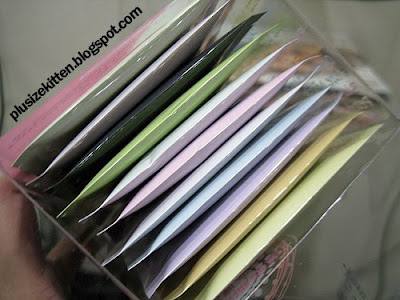 compare to other boxes, this assorted box got 11 masks! 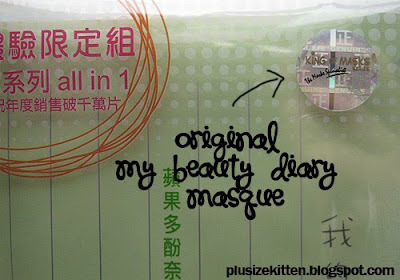 genuine beauty diary mask people! which I didn't get much because I didn't have time or interest to, except maybe this cool YOKOSO tote bag which everyone was carrying and u know me, peer pressure everyone got I also want! 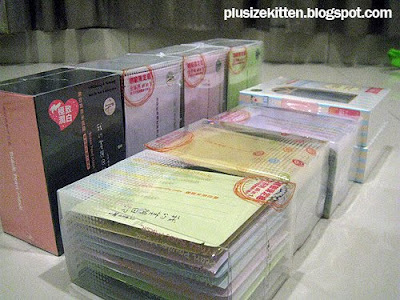 (sigh...) Inside is a bunch of skincare samples from Yokoso who's promoting Magic Boo like there's no tomorrow. 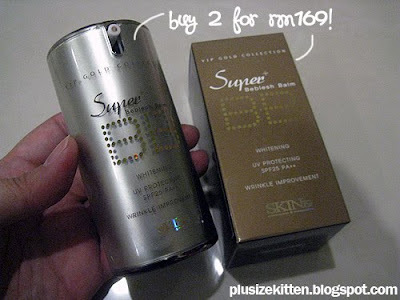 this is my 1st BB cream can u believe it? 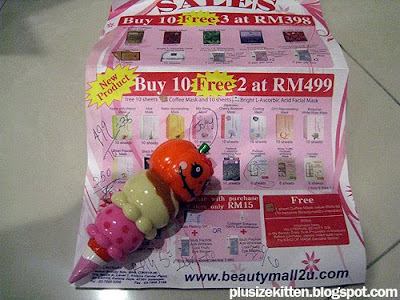 Also we saw falsies (fake eyelashes) 10 pairs for the price of rm8 only. We bought 2 - one dramatic and one natural looking to be shared. With that I just had to buy a eyelash applicator as I find putting them on with my finger/tweezer dam hard. Spotted while buying this is also the eyelash adhesive (glue) in BLACK! cool, this is convenient. That concludes my short & sweet stay at the Beauty Expo. How was yours and what did u buy? 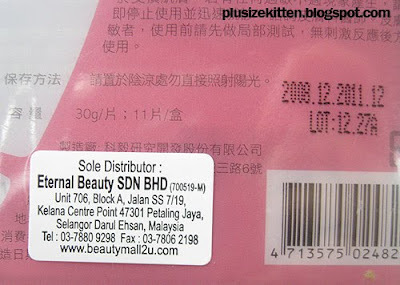 Did u buy the beauty diary masks too? It's my first time. I'm very happy as I got them at a great deal. Been hearing beauty bloggers raved about my beauty diary mask to the extend there's even "imitation/fake" my beauty diary masks around! don't worry mine is real but the sole distributor from this expo. Your jelly looks delicious, what flavour is it??? 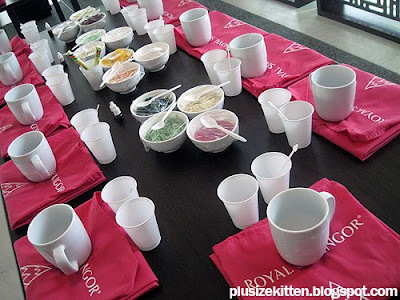 I completely forgot abt d Royal Selangor W/shop - maybe i will join d next one, depends on budget as well as time. 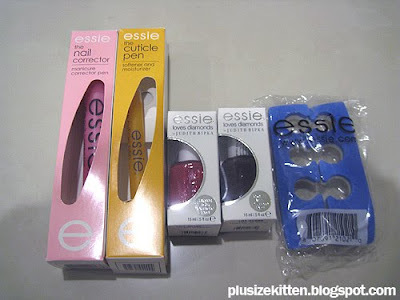 May i know how much is the Essie nail corrector and d cuticle pen?? I'm interested. 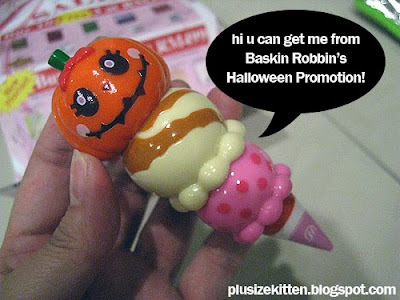 and OMG , d Baskins Robbins premium so darn cute - is it promo at expo only or all Baskin Robbins outlets??? 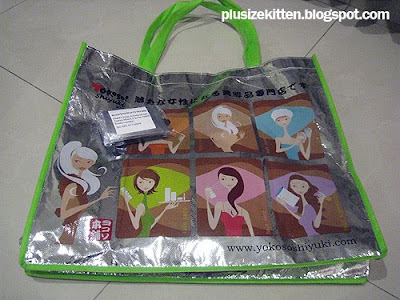 tote is pretty, I seldom use as if walking at road is dangerous worry motorist pull bag. eh... no idea what is that, first time know this. wui..i nv force u to share d BB cream with me,k? Pigita: My jelly is coconut flavor with coloring. The coloring no good lah.. i put too much so it appears darker. Save your money, the workshop is not about making jelly. It's only about decorating jelly and quite short session as well. Pour in jelly mixture which is already prepared by them, add ingredients (fruits/etc). Let it chill and de-mold it. Finish. The food was O_O i do agree with u the Singapore's version of this workshop seems much better. The lunch was coconut fragrant rice, ikan bilis, sambal, mee hon, mini spring rolls, mini sandwiches and cakes for desserts. I also waited 2 hours for the workshop to start, apparently 19 other participants came late (2 hours later). Arrived in sports cars, ferrari..etc. While waiting for them, the Datin Paduka (owner of Royal Selangor) gave me & one rich dude a mini session at The School of Hard Knocks, where we learn how to make our own pewter bowl n engrave our initials on it. I get to take back the apron, bowl and a certificate of me completing this workshop. Unfortunately the pink apron from jelly workshop cannot take back. Tutu J: lol!! next year come back again! 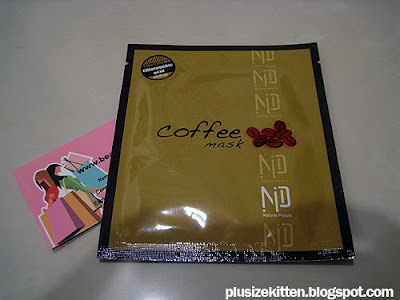 wanna share beauty diary mask??? Sherry: everyone grabbing the tote bag, it's very flashy n nice. Good marketing strategy at this expo for Yokoso booth. Crystal nail filler, unlike normal fillers has a smoother finishing and easy to use. The one I buy is expensive coz got Swarovski crystals (but rm69 still consider ok!). It's durable and long lasting also, n this company guarantees it somore (lifetime guarantee!!!). Maybe Joey can blog about it to further explain why so kengchou. 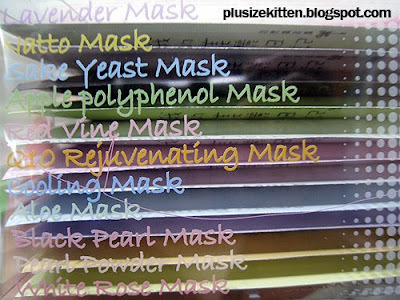 i getta buy de diary mask 4 rm2 each.. 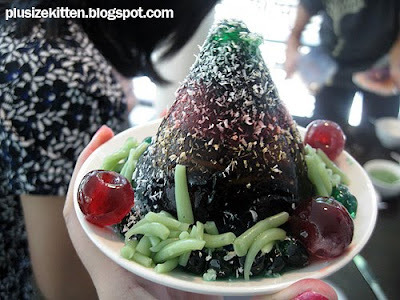 The colour of your jelly so dark, i thought it was blackcurrent flavour. 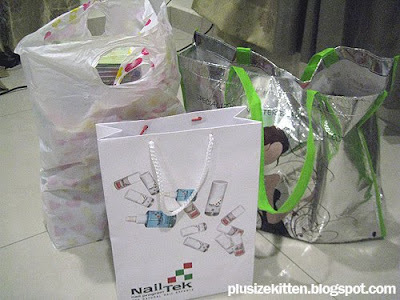 U had to wait 2 hours for latecomers @_@, the two of you could have started and finished your own "mini" workshop first! The food sounds so "canteen" type leh, d singapore event is all hosted by chefs in their restaurants and d meal is in the respective restaurants. Pigita: yea true, i guess that's the pros n cons of joining a private workshop :( seems the response to the 10th workshop is not that good so i couldn't go on the 10th. Joined the 11th. 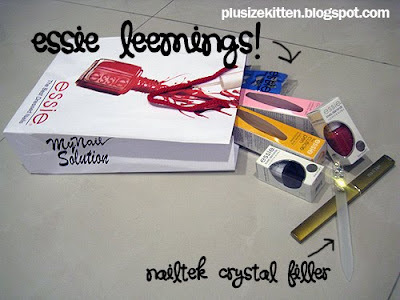 The crystal nail filer for those who leems for a "exquisite" nail filer to show off.. n keep.. lol..
vean: where u buy from! pls share? Cath: haha yea but there's more interesting stuffs around! which I wasn't really into checking out. Jean: u r lucky girl.. today = last day. U got to keep ur $$!!! how much was it for an essie nail polish? oh.. thanks miu for the price update!